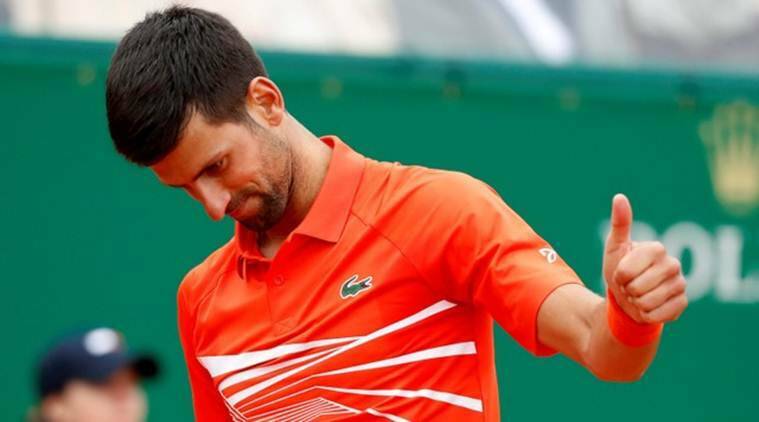 Two-time champion Novak Djokovic struggled with his serve at times but reached the third round of the Monte Carlo Masters with a scrappy 6-3, 4-6, 6-4 win over Philipp Kohlschreiber on Tuesday. After Kohlschreiber dropped serve at the start of the deciding set, the eighth straight service break, Djokovic saved break points before holding for 2-0. In other second-round play, Argentine Guido Pella downed seventh-seeded Marin Cilic 6-3, 5-7, 6-1, breaking the imposing Croatian’s serve eight times. There was another upset as Italian qualifier Lorenzo Sonego won 7-6 (4), 6-4 against eighth-seeded Russian Karen Khachanov.